While the Lock Me Bag Collection is new, the popularity has already risen to a high-level. This bag is just lovely, feminine and gorgeous, but will this new design steal your heart? So what is the new design? 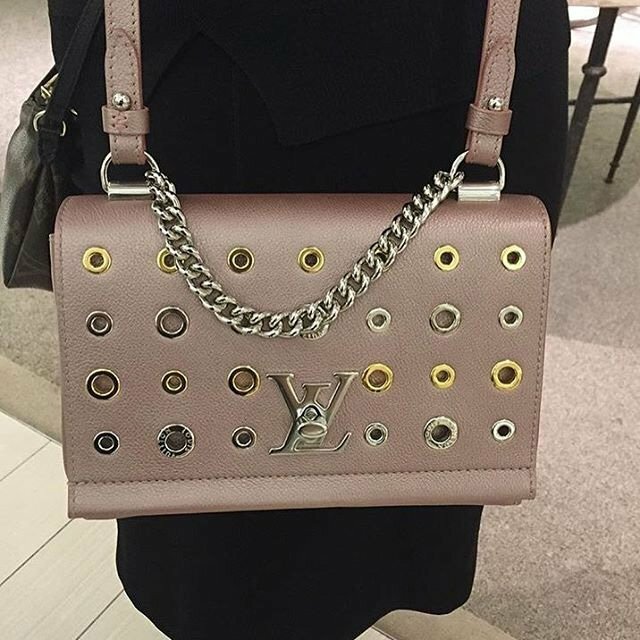 Well, Louis Vuitton put some metallic eyelets into the front flap and they’re in uneven sizes – one is smaller while the other is bigger. 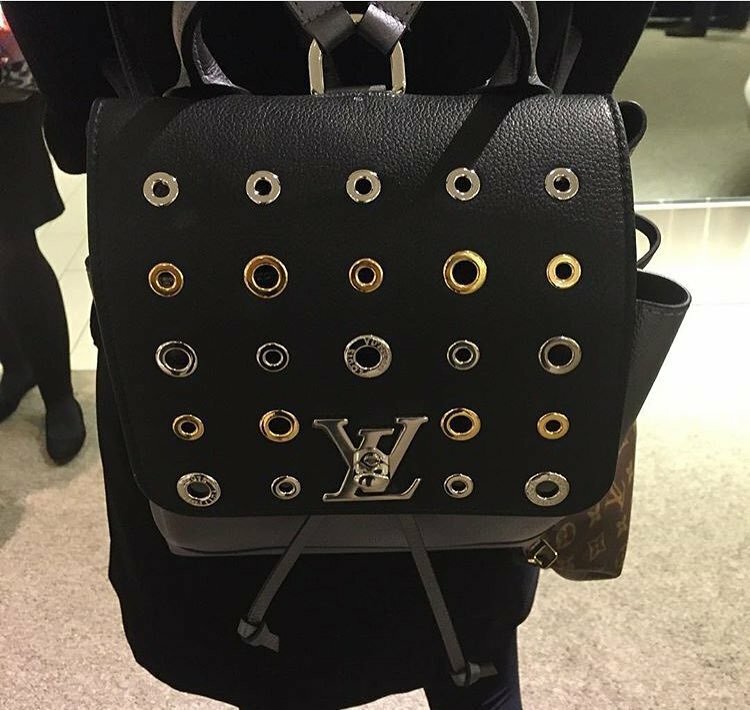 The larger eyelets feature the Louis Vuitton signature. The eyelets change the feel entirely, it’s now much more casual mixed with rockstyle. The top comes with a short chain strap to hold by hand, but it’s also made with a long leather strap for shoulder carry. Now, let us know how you feel about this piece?